French heritage along with the spirit and energy of New York City. 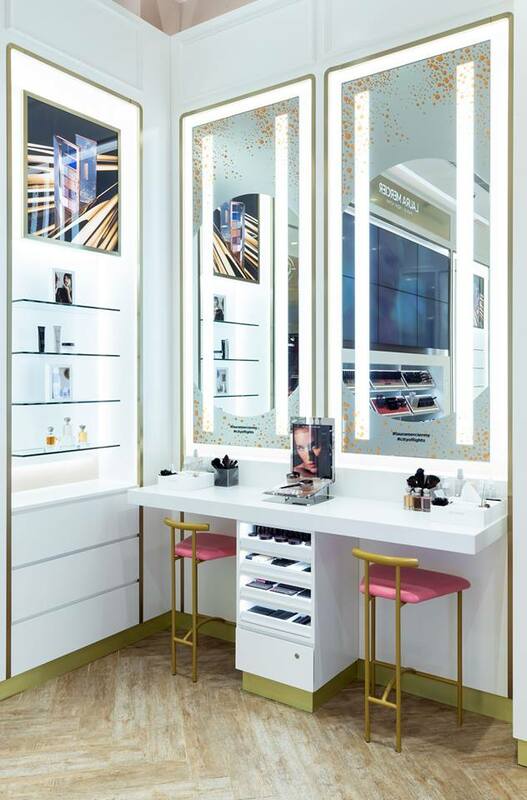 Part of the Shiseido conglomerate since 2016, the new logo, a celebration of the founder’s roots in both Paris and New York debuts concurrently with the launch of a new free standing store in Pavilion Kuala Lumpur. 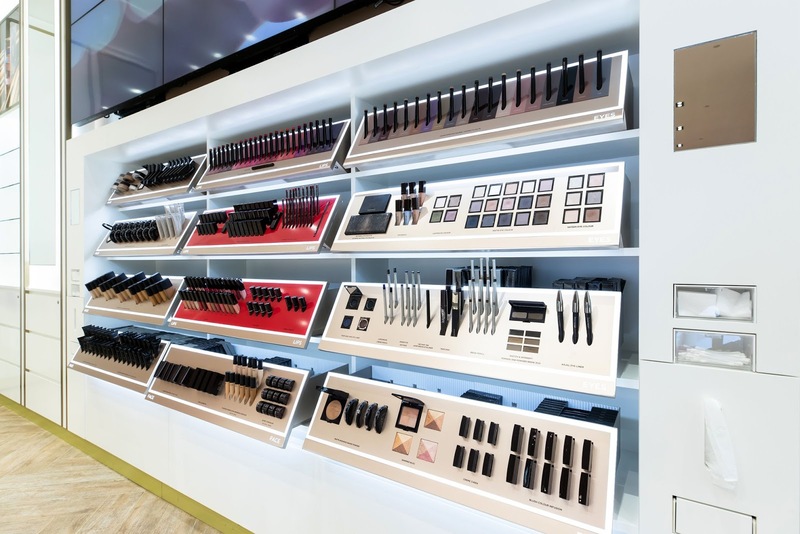 Ultra-modern dynamism blends with contemporary reflections greets upon entering the store. The brilliant amalgamation of mirrors and soft lightings reflect the current interior trends housing the Brand’s objective to ensure clients shop in most conducive surroundings. 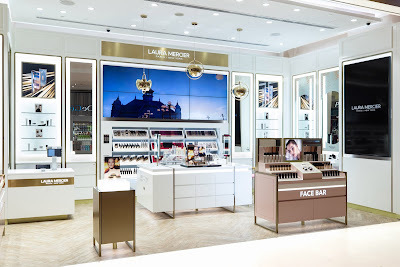 Playing within the colours of brushed bronze, toasted almond and white with its iconic herringbone designed flooring, when reflected against the strategically positioned overhead lightings, the store is bathed in a sea of sophistication and calmness appealing to women of all ages. In the centre ceiling, Gabby pendant lighting in gold perpetuates a modern feel. In line with consumers shopping preference in an uncluttered atmosphere, the 409 sq. ft. store is strategically classified into zones ensuring a seamless shopping experience. The labelled Bar Counters offer targeted shopping, where one can readily pick, transact and leave as desired by the time conscious client. For those who prefers assisted service, the makeup artists aims to provide a wholesome shopping experience with hands-on step by step sessions at the Makeup Services Bar, where clients are taught on Laura Mercier’s Flawless Face techniques in creating a look that is unique to the client. The Face Bar houses all the prerequisites in creating the Brand’s Flawless Face philosophy and features the creator’s favourites from base makeup, primer, tinted moisturizer, concealer, highlighter, foundations for all skin types and the must have, Laura Mercier Translucent Loose Powders. 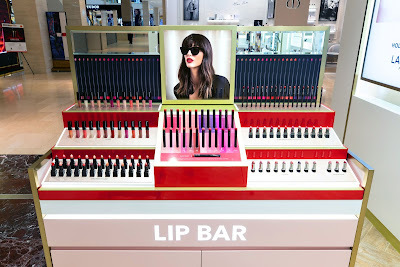 Lipsticks have always been a women’s secret weapon to looking complete. At the Lip Bar, regardless of matte, gloss, sheer or creamy texture preference, one is enamoured by the attractive offerings of cool and warm shades alongside a collection of lip liners. 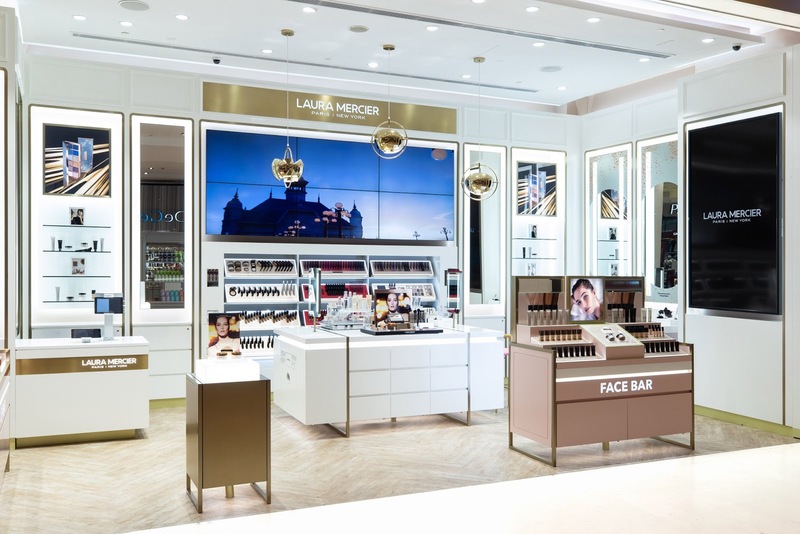 The centrepiece of the store features a Video Wall showcasing the Brand’s vast assortments. 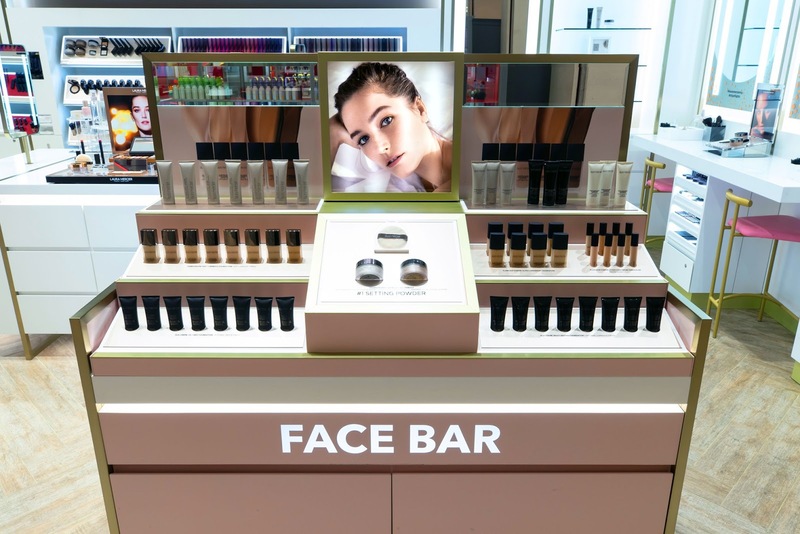 Clients are welcomed and encouraged to try an array of foundations, brushes, eye makeup and lipstick testers conveniently placed under the video wall providing an instantaneous and interactive shopping experience. Today, Laura Mercier remains the innovative and creative force behind the Brand’s many great creations and will continue to embrace its original essence, with a modernised approach. 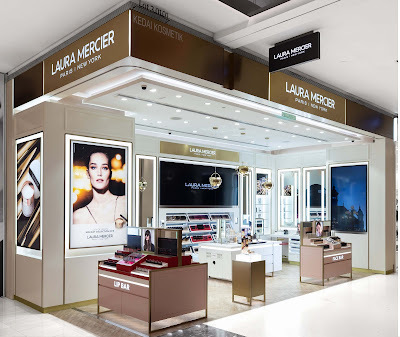 Laura Mercier lines are also available in Skincare, Body & Bath and Fragrance.